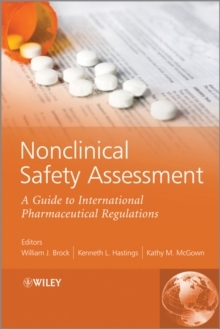 Providing a comprehensive, international overview of the regulatory requirements for safety assessment for new drug approvals, each chapter in Nonclinical Safety Assessment is written by experts who have direct, firsthand involvement in drug development in the regions where they are located. International coverage includes World Health Organization (WHO) principles and regional variations, including EMEA guidance, U.S.
FDA, and Asia-Pacific. The text provides insights into the future of nonclinical drug testing and approval and includes a list of resources such as guidelines, guidance, and authoritative non-governmental publications.